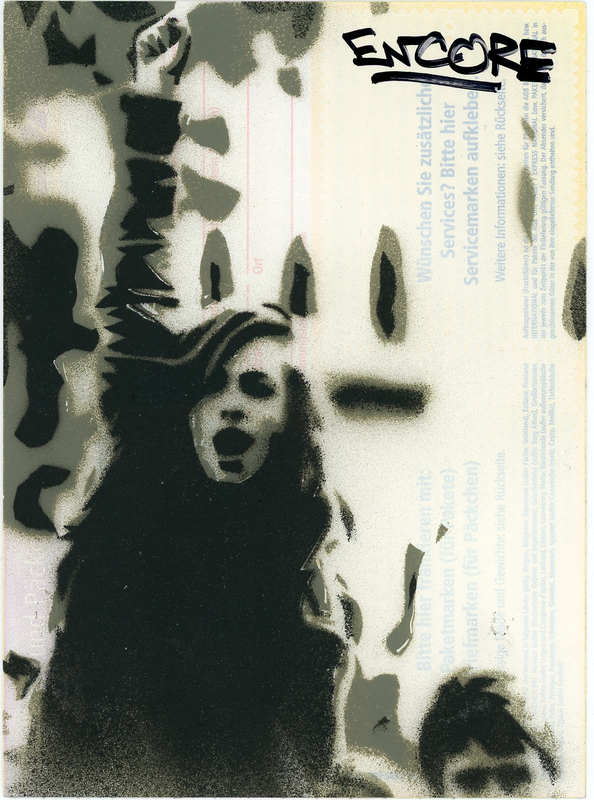 This handmade, stenciled sticker features the figure of a woman protesting alongside a boy; the artist’s tag is also featured on the top right corner. Upon closer inspection, it appears that a German postal sticker was painted over to produce this sticker. The artist’s name, Encore, is French for ‘again’.